I cordially greet you with the first anniversary of your election as Bishop of Rome. The initiatives that Your Holiness undertook during the first year of your pontificate found a ready response among the faithful of the Roman Catholic Church and wan well-deserved respect of those who are concerned about the future of Christianity. The Supreme Authority of the Russian Orthodox Church is pleased to note that the Moscow Patriarchate and the Roman Catholic Church have similar positions on many today’s pressing issues. Last year, I had the pleasure of meeting and talking twice with Your Holiness. During our meetings, you showed benevolent openness and respectful attention to the position of the Russian Orthodox Church. 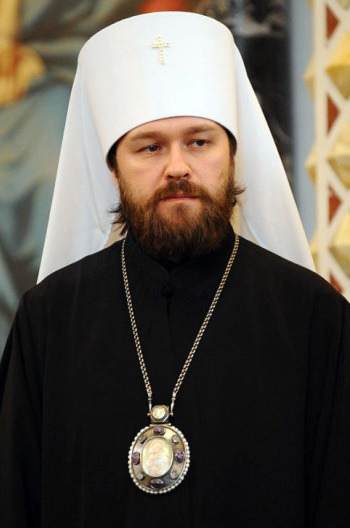 Please, allow me to express my hope that in future the relations between the Roman Catholic Church and the Moscow Patriarchate will also be based on mutual understanding and will be aimed at developing the Orthodox-Catholic dialogue and upholding Christian ideals in the life of modern society. Please, accept my sincere wishes of peace, good health and God’s blessing in your primatial ministry.